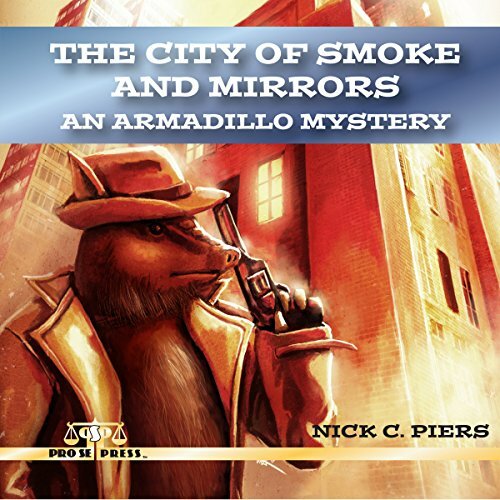 Dilbert Pinkerton's not the greatest private detective, but he's good at sniffing out clues. Of course, it's hard to take a five-foot-nothing mutant armadillo in a trench coat and fedora seriously. He sticks his snout where it doesn't belong far too often while digging for the truth. So when some rich dame asks him to steal - ahem, retrieve - a pearl necklace from her ex-husband, Dill almost reconsiders. Until, that is, she offers him so much money that he can't refuse. Now, Dill heads to Nevermore Bay, home of The Buzzard. Most in Nevermore Bay think The Buzzard is just a myth created by the local police force. Whether that's true or not, Dill can't help but be curious by the mystery. When he runs afoul of this fowl, though, things go to hell and fast. Not only are the police after him, but Dill must also contend with some of The Buzzard's rogues, mobster Don Komodo and his goon squad, and even The Buzzard himself. With everyone in the city against him, what hope does Dill have just to get out of there with his carapace intact?